I am picking up four dozen cupcakes in about three hours. It’s August, which means it’s Birthday Season in the Ansley household. Today, Skyler turns 18. Since she coaches as well as cheers, she’ll be at the gym all afternoon and evening. It’s become somewhat of a tradition that if a cheerleader’s birthday falls on a practice day, cupcakes for everyone on her squad. That means three dozen. 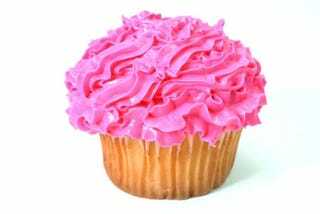 It will be close to gym closing time by the time I get there, so there will be extra parents, cheerleaders from other squads, maybe some younger siblings who won’t understand why they can’t have one, and since I don’t care to be the Cupcake Police . . . four dozen. And when we get home around 9:30 p.m. – 10 if she wants to stop someplace for a late meal, which she’s threatening to do – there will be something here at the house called a Dairy Queen Blizzard Cake for the “official” celebration. Saturday, it’s the hubby’s birthday. Yes, another cake. Birthday cake, yet another weakness of mine, but maybe he’ll opt for one of those with some sort of strawberry stuff in the middle. I can’t stand strawberries, so all the more reason for such a cake. I’ll see if I can’t talk him into it. The 30th is my birthday and no, I will not have a cake-shaped spread of raw veggies and dip. There will be cake. There will always be temptations; it’s just a matter of how they’re approached. No such thing as bad foods, really; just bad habits. Everything in moderation, right? It helps to have a really good workout on a “cake” day – or whatever you’re tempted by. I was at the gym early this morning and had a great workout, and really don’t want to waste it on renegade cupcakes or an ice cream cake. My son’s birthday is in June, thank goodness.